Susan Stellmacher brought over 10 years of non-profit experience to Walsh & Associates, when we welcomed her in 2017. She has worked for congregations, in financial services, and as a professional fundraiser. Prior to joining our team, Susan worked in major and planned-giving for an international child-welfare agency. Her experience working in and with churches, her leadership skills, and her fundraising expertise are valuable assets to the churches we serve. Susan has direct experience with annual giving, corporate philanthropy, major and planned-giving, and donor engagement. She has a passion for helping people achieve and magnify their philanthropic goals. Aligning that with the churches we serve sets clients up for success. 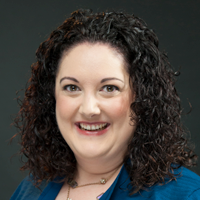 Susan has a BA in Anthropology and Religious Studies from Lawrence University in Appleton, Wisconsin and an MLD in Professional Leadership from North Central College in Naperville, Illinois. She lives in Naperville, with her husband Jim, a teacher and worship leader, and their daughter, Aurelia. Susan attends Faith Lutheran Church in Aurora, Illinois.